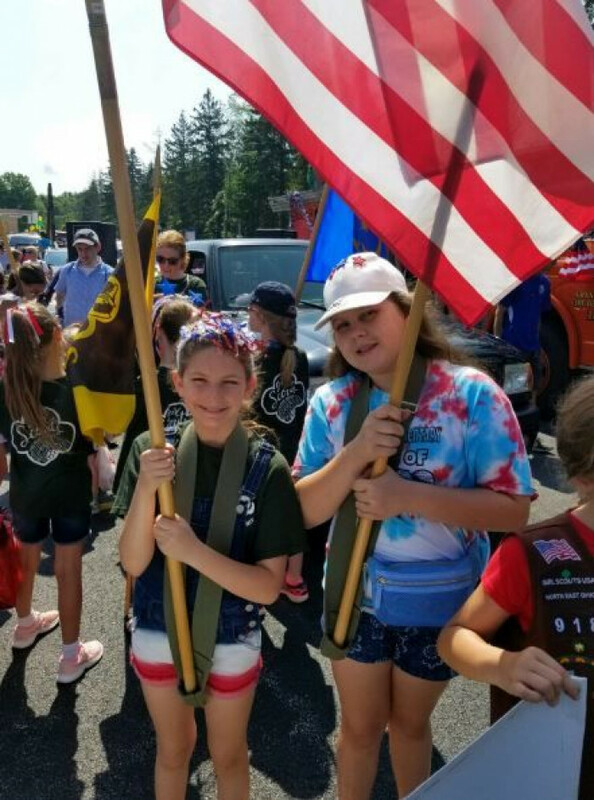 The global fight for equality rages on and while it looks different depending on where in the world you are, for one 12-year old girl in Ohio, it looked like sexist commentary during a 4th of July parade. 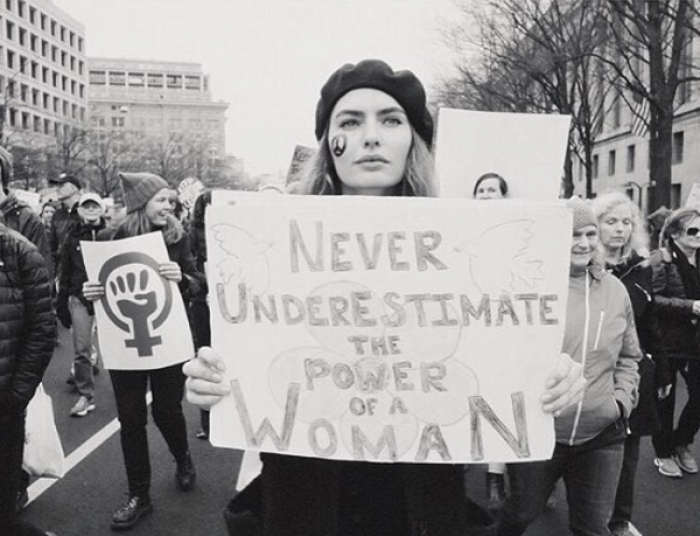 Julianne Speyer may be young but she's got the heart of a feminist warrior and at a time when our voices are so important, her youthful determination has been like a rallying cry all over the United States. Julianne was enjoying her local 4th of July parade, like anyone else in town, when an announcer did something that left her angry and frustrated. He announced the boy scouts and the girl scouts very differently. In one moment of blatant sexism and disrespect, he announced the boys of the boy scouts as the “future leaders of America,” and then described the girls of the girl scouts as, "just having fun." Whether or not the announcer was being intentionally sexist, Julliane and everyone in attendance were listening and they all knew what happened was wrong. While everyone in attendance heard the announcer, no one seemed to be doing anything or saying anything and that left the young girl frustrated. 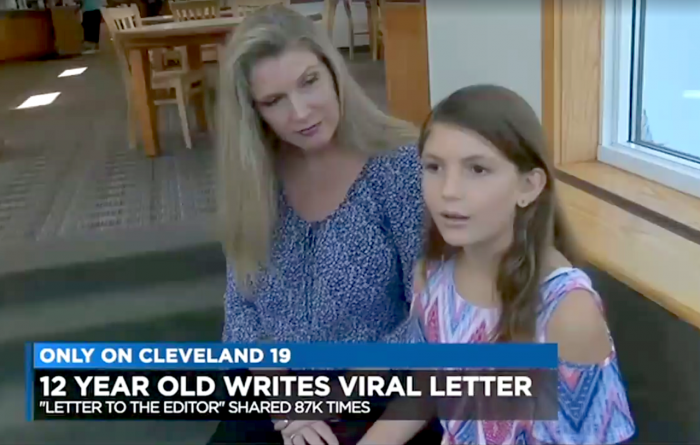 "That didn't seem fair, girls can be anything they want," Speyer told WOIO-TV. It was then that one of Julianne's friends explained what a "letter to the editor" was an encouraged her to voice her concerns on a public platform. And so she did. 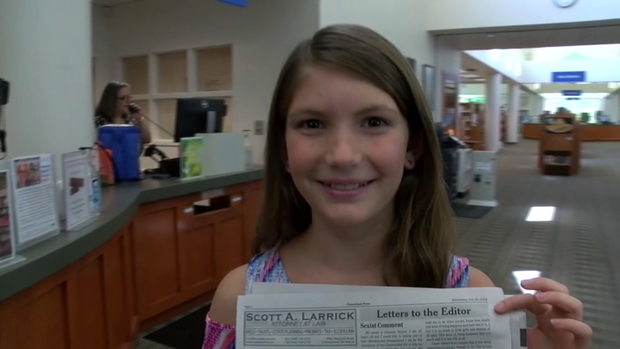 In a surprising and encouraging turn of events, her letter was published! The announcer labeled the Boy Scouts the ‘future leaders of America and he said the Girl Scouts were ‘just having fun.’ I found this comment very sexist and patronizing. I would appreciate it if you would help me to let other people know how much this kind of things happens and bad it is. I feel it is an insult to women and girls of all ages. 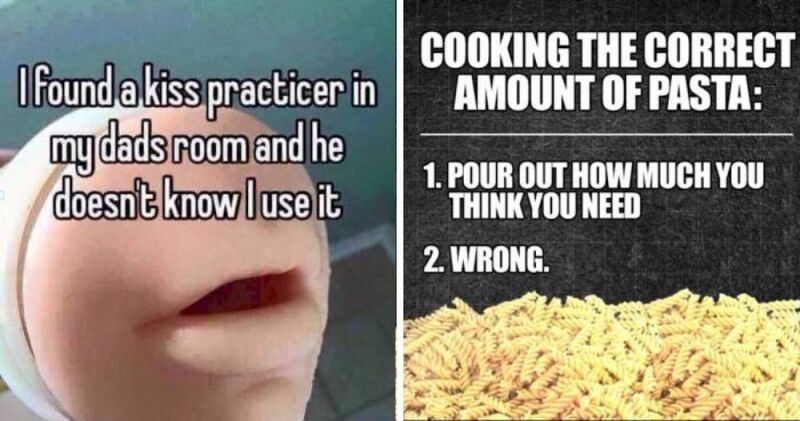 This kind of thing happens way too much, and it is not OK at all. I have always been taught that if you think something is unjust, change it. This is how I am making a change. So, this is how I am making a change. Thank you for listening to me and I hope you can help me. "It's not OK that they did this, this kind of thing happens way too often," Speyer said. 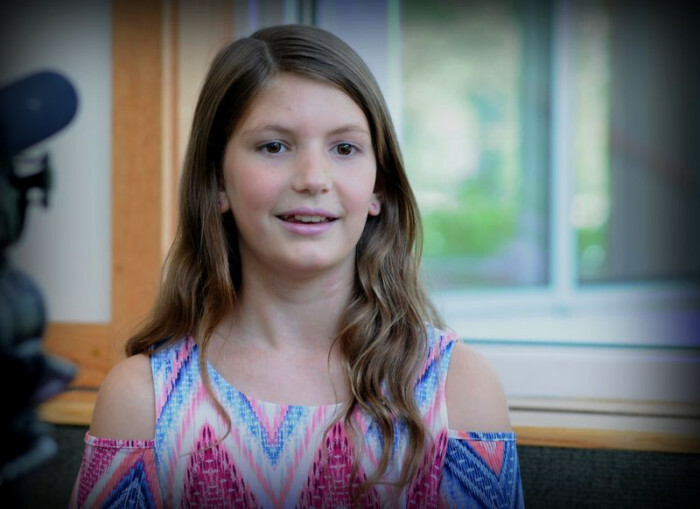 "I needed help getting the word out and I asked the news to help me." 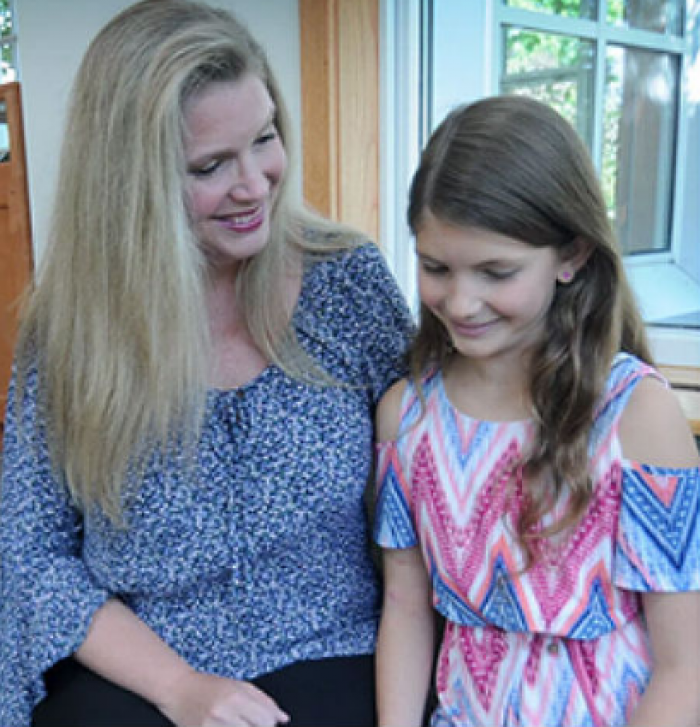 With the support and rallying cry of her fellow girl scouts, Julianne spoke from her heart like a true, strong girl scout. And then, journalist Sara Kenigsberg shared the story on Twitter and it quickly went viral. Retweeted nearly 20,000 times and liked over 72,000 times, women everywhere heard Julianne and stood by her. Organizers from the city of Chesterland's Fourth of July parade released a statement that the incident was an "unfortunate misunderstanding of two unrelated comments," and that "the announcer is a volunteer and made an observation that participants were enjoying the parade, with no disrespect intended." While Speyer says she has no ill-feelings towards the announcer she also has said point-blank, "it's not wrong to stand up for what you believe in." Since then, responses of support has been rolling in! 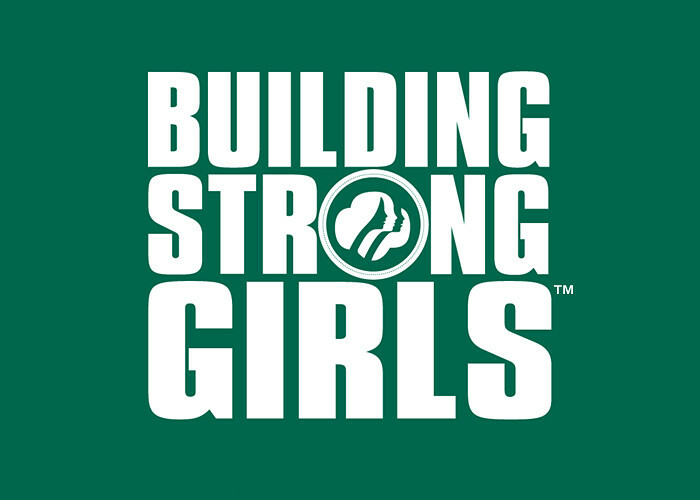 The official Twitter for Girl Scouts of America even chimed in with enthusiastic support for Julianne and her message. Actress and social media activist Piper Perabo sang her praises. Actress Amanda Abbington also sang her praises. However, the best response definitely came from the US Navy. Maybe in the future if no one beats me to the job, I'll be the first girl president. I could scream the message that girls can be anything they want to be, they can be in charge someday. We can be the leaders of America.